Let’s face it: fitness can be boring — likely why there’s always a hot new class or program to keep people motivated. The latest to hit Buffalo? Drum workouts like POUND that combine a fast, full-body workout with the fun of being a rock star. 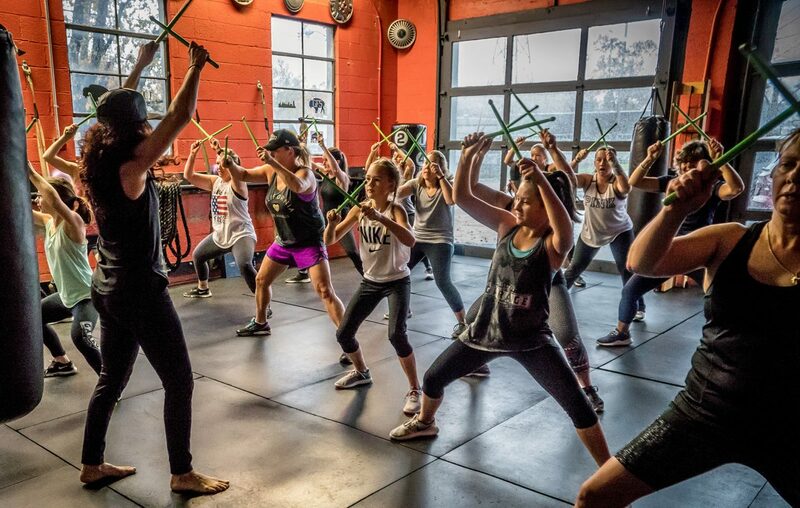 Judy Siniscalchi, owner of Garage Fitness Studio in Angola, said the workouts are pretty straightforward: Participants use drumsticks that are a quarter pound apiece to the beat of loud music, all while moving their bodies in ways that guarantee a good workout. Carrie Fick is a POUND instructor at Sow Fit Buffalo in Kenmore. She said the workout gives people a chance to change up their fitness routine in a fun way that fits fit their busy, stressful lives. POUND classes involve several types of moves to work the entire body, said Fick, including squat-based lunges and Pilates-based movements while sitting. Both Siniscalchi and Fick said anyone can participate in drum workouts, regardless of age or skill level. At Sow Fit, there are also specifically tailored POUND classes for people with disabilities. Another benefit of drum workouts? Stress relief. POUND classes are typically found at smaller, boutique style studios. Find a class near you at Poundfit.com; just enter your Zip code.